This week, Fox TV's "American Idol" series yields back-to-back million-selling debut albums from its winners for the first time since 2008. 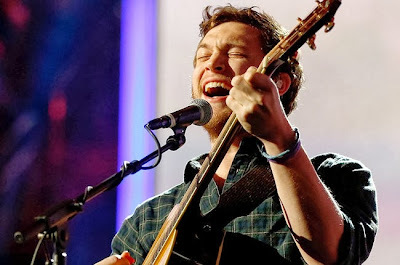 Phillips followed 2011 winner Scotty McCreery, whose first album, "Clear As Day," reached 1 million in sales in April of 2012, following its October 2011 release. It has sold 1.2 million to date. The last two seasons of "American Idol" to generate consecutive million-selling albums from its winners was its 2007 and 2008 editions. Jordin Sparks and David Cook, respectively, took home the "American Idol" crown those years. Sparks' self-titled debut, which was released in November of 2007, reached 1 million in January of 2009. Cook's self-titled debut reached retail in November of 2008, and surpassed 1 million in March of the following year. As for 2013's "American Idol" winner, Candice Glover, her debut album "Music Speaks" is due out Oct. 8 on Interscope Records.